In earlier days when you go grocery shopping, there is board in every shop written “AAJ NAGAD KAL UDHAR”, Pay cash today, credit comes tomorrow. Not a single shopkeeper want to sell their product in credit. But today, Plastic cards change the concept of the market for both buyers as well as the seller. Just use your card you get credit for 1.5 months or more and also you get tones of benefit in the form of cash back, coupons, royalty points etc. With grocery credit cards, though, you can increase the savings on the purchase of vegetables and other food items by availing cashback and reward benefits. Every Housewife and salaried find several ways to save some money. In this article, we have listed out a few credit cards that offer you the cashback on your grocery store. 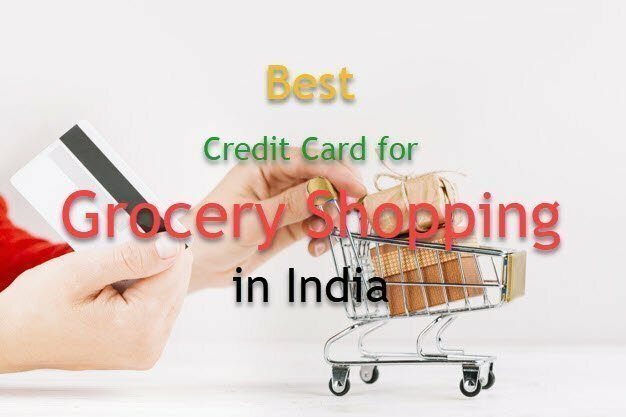 Drive in, to explore Best Credit Card for Grocery Shopping in India and their benefits. 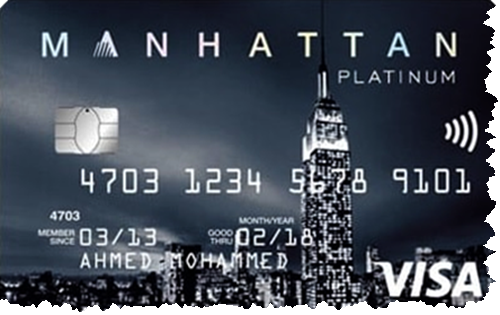 Standard Chartered Manhattan Platinum Credit Card holds No. 1 position as far as good value back is concern. Every credit card user always looks back to get some cash back or some royalty points, Grocery is one of the expenditures for every person or other on a monthly basis. The cardholder gets 5% Cashback on shopping at the supermarket & department store like (Reliance fresh, D-mart, Best price, Big Bazaar etc). The cash back is subject to the maximum of ₹ 150 per transaction, limited to ₹ 500 per month, the transaction below ₹ 1000 will not fall into the cash back criteria. If you present at supermarket spending ₹ 1000 is not the big deal. To avail maximum cash back of ₹ 150 per transaction, freeze your bill to ₹ 3000 i.e. 5% cash back. Opt for another bill if you spend more then ₹ 3000, accordingly you can trick the bank and earn on every penny you spend. To earn maximum cash back of ₹ 500, You have to spend ₹ 10,000 at the grocery store. Remember you have to make ‘4 bills 3X3000 and 1X1000’. For every spending of ₹ 150, 3 Reward point is reimbursed to the cardholder. Every reward point holds 30 paise. Joining Fee – ₹ 999. Annual fees of ₹ 999 (waived on spending ₹ 1,20,000 in the Year). If you are smart enough, you will get joining fee waived off (if you talk to the executive in person). The bank required a consistent income (whether it would be from salary, profession & small business). The applicant should be in between 21 to 65 of age & you must have a good credit score (above 700) and excellent credit history. In addition, you have to provide Address proof, Identity proof, photographs and income documents (Such as). Latest one-month salary slip – If you are salaried. Latest IT return – for the business person. You can also apply for the credit card against other credit cards & Life insurance policy. This link sends you to the Application Form. This Credit Card itself reveal the features by its name MY CHOICE. Axis Bank My Choice Credit Card provides tons of benefits to their customer, the key feature is cash back on the purchase of grocery. Before applying for this card you must aware of the Fee charges (Joining & annual fee). Annual Fee – 1 Year – Nil. Annual Fee – 2 year – ₹ 250. The applicant must be (18 – 70 years) of age limit, a resident of India. Axis Bank My Choice Credit Card allows the users to select two spending categories of your choice for 5 % cash back. Utility Bills – Telecom & internet Service bills, Cable and DTH services, Electricity bill, Gas & water bills. This card covers every major expenditure on a monthly basis. Supermarket and utility bills possess a topmost position. I don’t know about you, but I personally select – (Dining (cooked food) & Supermarket), I spend a major part in both of them. In addition to the above, you Get 4 points for every ₹ 200 spent. You can also get the image preference option in your credit card at just ₹ 150 (you can upload your own image and get the image print on your Credit card). You will get Bonus 100 point for the first online transaction through eDGE Rewards. Axis Bank Dining Delights offering a minimum 15% off at our partner restaurant in India. For more details refer to this Axis bank link. Kotak Mahindra Bank, One of the leading private sector bank in India, The performance of the bank in future bring the bank at no. 1 position. 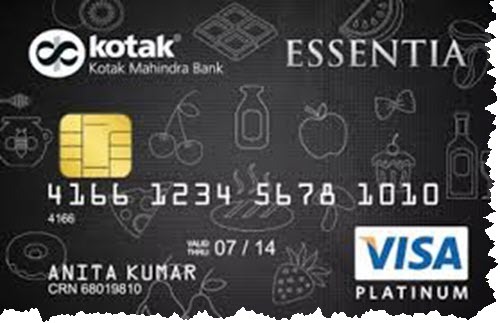 Kotak bank – Kotak Essentia Platinum Credit Card is designed for their customer to earn real money in the form of points. For the minimum transaction of ₹ 1500 to the maximum of ₹ 4000, you will get 10 Saving Points for every ₹ 100 you spend at Departmental & Grocery Stores. …and every point hold value of ₹ 1 (one)(that means you are getting 10% cash back). There are many options available for redemption. ~ Cash | Airline tickets | Air Miles | Movie Tickets | Mobile Recharge | Branded Merchandise. Eligibility is the applicant should be in the age bracket of 21 – 65 years. In addition, you can Earn 1 point for every spending of ₹ 250 on other categories. Add-on Card facility is also available if required. If you speed ₹ 1,25,000 every half month from your Kotak Essentia Platinum Credit Card – you can get 6 free PVR movie tickets or 1200 reward points. …i.e. 1200X1 = ₹ 1200 cash back. 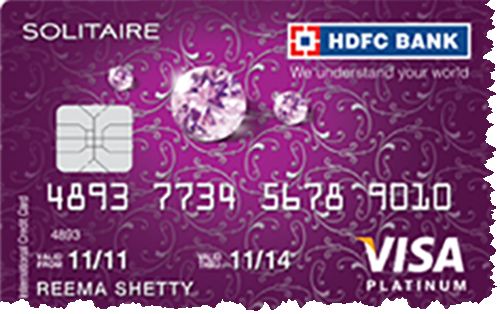 HDFC Bank solitaire credit card specially designed for grocery expenditure and many more. HDFC Bank welcome their new solitaire credit card customer with 10% discount on any minimum purchase up to ₹ 15000, get maximum discount up to ₹ 500. You will get 3 reward point on spending of each ₹ 150, for every 100 reward points you will get ₹ 20. ~ So basically If I speed ₹ 15000, I will get 300 points, which is worth ₹ 60 for me, percentage-wise 0.4%. In the case of dining and grocery shopping, you will get 50% more reward points. i.e. 0.8% cash back as per above scenario. You will eligible for free Accidental Death Insurance up to 50 Lakhs & Free Fire and Burglary protection of goods above ₹ 5000 for 180 days after swiping/transaction 4 times every month. You can also earn shopping vouchers worth ₹ 2000 on cumulative spends of ₹ 1,50,000 every year. Cash withdrawal up to 40 % of your credit limit is permitted with the interest rate of 2.5% of the amount withdrawn or ₹ 500 whichever is higher.